Following it’s launch in February 2013, the Introduction to Tap and Modern dance class popular class is suitable for ages 3-5. The students dance for 30mins in total, including a couple of minutes to take off tap shoes ready for modern. During the 15 minute tap lesson, we start off with a follow-my-leader tap warm up, practicing very simple steps around the room and to get the children focussed into the class ahead. After this, we go into a more stationary warm up, and I begin to teach the basics of tap, ensuring focus on correct technique to get the children into correct habits from a young age! Rhythm is very important in tap, so I introduce rhythm and timing alongside the exercises. Each child has a chance to tap by themselves to help promote self confidence, and so I can check that they are making the correct noises. After tap, and removing shoes and socks, we start our modern section. 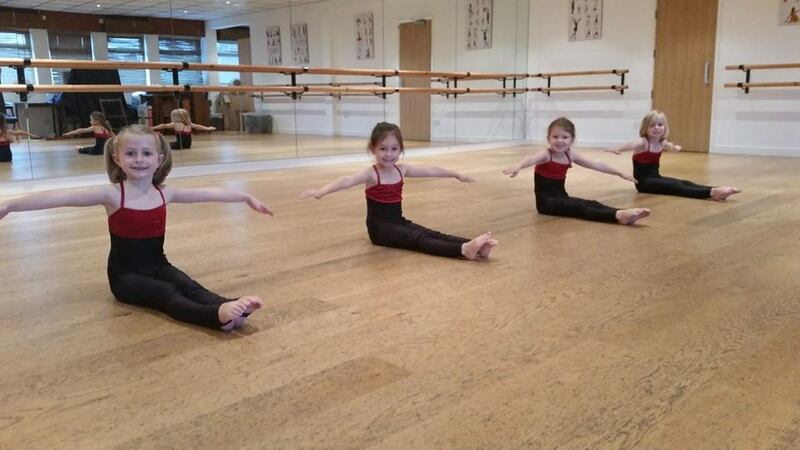 During this section of the class, we explore different levels, using a lot of the studio or just using a tiny part, playing around with different dance qualities (strong or soft, fast or slow) and start to work on basic co-ordination such as determining which is right and left. We also develop rhythm through musical instruments, and stretch and work on balance. Set to funky and fun music, modern is a fun way to finish the lesson, and we usually end with a game of musical statues, to practice being still when the music ends.